In the Hall of the Mountain King- The elusive Andean cat lives high in the arid environment of the Andes Mountains where they can be nearly impossible to find. Our partners from Andean Cat Alliance are dedicated to studying them but for many of the conservationists, they’ll spend their entire life searching and never even see one in the wild. Thanks to the magic of remote camera technology, this handsome cat can get its picture taken and the researchers can use the information to determine their presence in that location and identify individual cats. 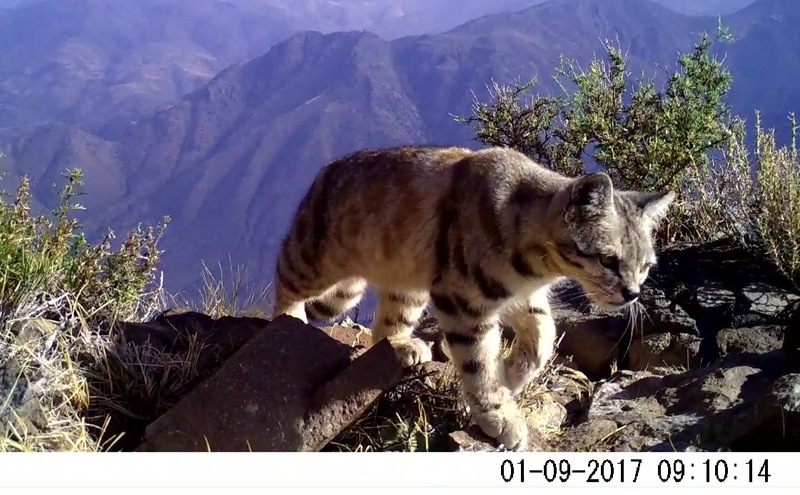 We love this picture of an Andean cat prowling through it’s mountain kingdom. Truly it is at home in a land where most humans wouldn’t want to endure.